Vice President Yemi Osinbajo has said the free National Home Grown School Feeding programme of this administration will commence in some states this month. 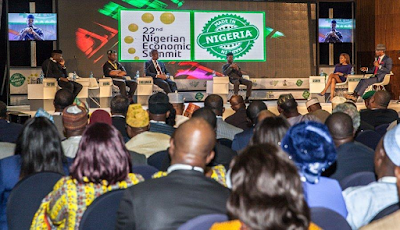 Osinbajo made this known during an interview session at the ongoing Nigerian Economic Summit in Abuja yesterday October 11th. According to Osinbajo, the Federal Government would fund the scheme for pupils in Primary One to Primary three while state governments are expected to take responsibility for pupils in primary four to six. ‎Osinbajo in the interview, also revealed that the Federal government would employ 200,000 out of the 500,000 graduates it promised to employ through its N-power jobs programme. “We expect that before the end of the month, we will engage 200,000 out of the 500,000 unemployed graduates the Buhari administration plans to hire in the N-Power jobs programme. The direct government job is meant to keep these young people occupied, pay them some amount of money and also give them a device, which will also help them to learn several skills that they can develop as time goes on. We expect that before the end of this month, we should have engaged 200,000 of them and we are hoping that before the end of the year we should have engaged more,” he said. He also disclosed that before the end of the month, market women and artisans would be granted soft loans ranging from N60,000 to N100,000.